Comments - This designer interior was featured in Architectural Digest when it was installed in 1994 and has been continuously maintained in its timeless classic style. 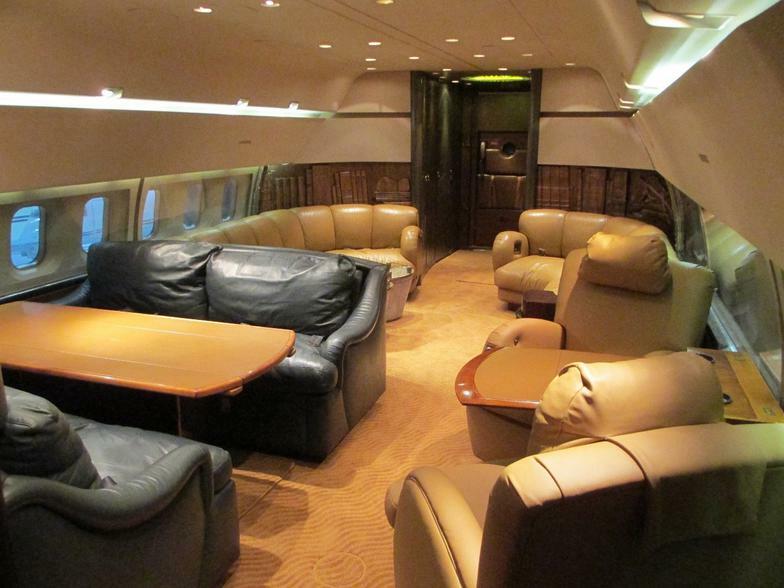 Luxurious accommodations are provided for 28 passengers and are depicted in photographs throughout this brochure. The forward salon features a combination of divans and individual seating for twelve including a convertible cocktail / dining table between opposite three-place divans for casual or formal dining. Moving aft and servicing the forward salon is a unique buffet with storage cabinets beneath. Across from the well-equipped gourmet galley is a serving bar with drawer and cabinet storage. 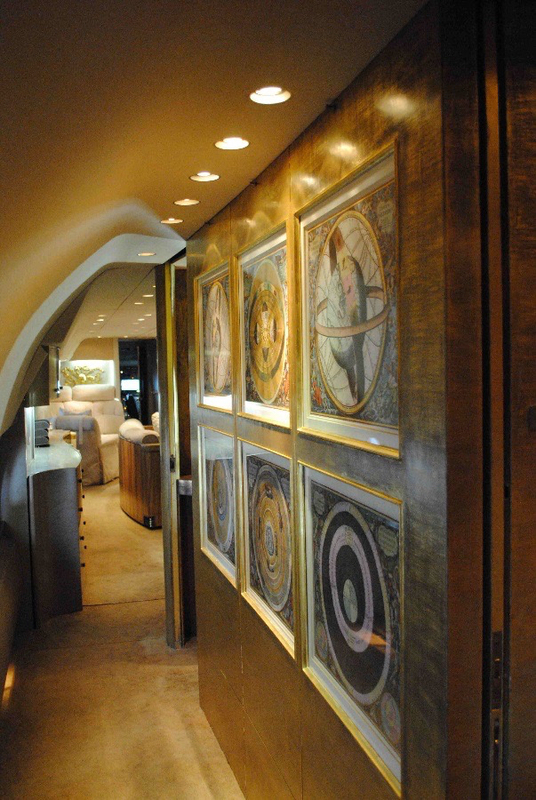 A passageway leads further aft to the private stateroom and then on to the aft lounge. The stateroom features an extra-long queen-size bed with generous built-in hanging and drawer storage. The private lavatory includes a large vanity area with more than ample storage. Video monitor telephone intercom and sound system round out the Stateroom amenities. The aft lounge accommodates sixteen in the following arrangement: one six-place club seating group with convertible cocktail / dining table one two-place club seating group with table and two opposite facing four-place L-shaped divans with two oval convenience tables. Please note that this aircraft is in a high state of condition: the new Air Navigation and Instruments Systems upgrades to include Future Air Navigation Systems (“FANS”)Controller Pilot Data Link (satellite) Communications (“CPDLC”)ADS-B and In-flight Connectivity (“Wi-If”) have recently been installed and certified on the Aircraft. These newly required navigational upgrades will allow unrestricted flight in all domestic / international airspace and all oceanic tracts worldwide far in to the future. EnginesLanding Gear and components all have significant “green time” remaining. 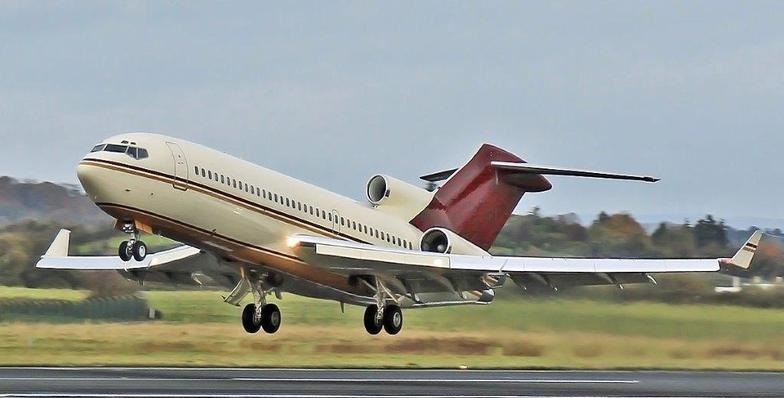 With its C-check completed within the last 45 days this is a turnkey aircraft with no major items due except for scheduled maintenance for many years to come. 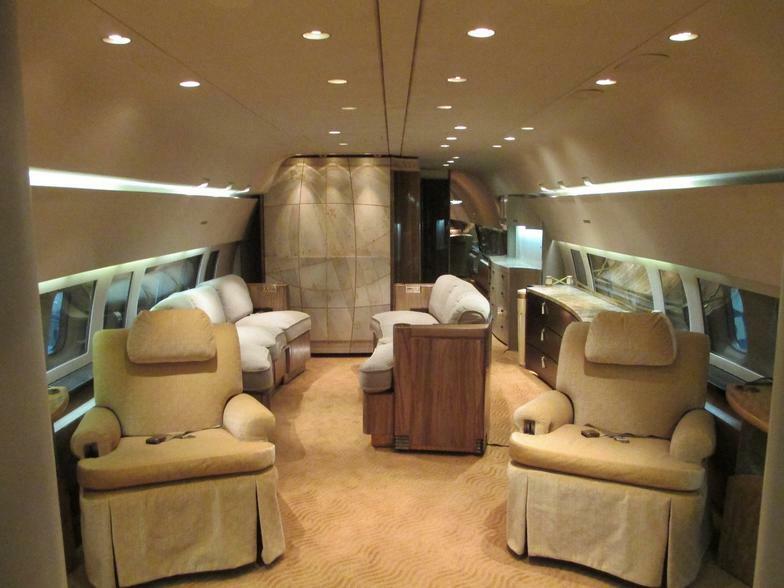 The Aircraft is current and regularly flown both domestically and internationally. It is maintained meticulously under the Centurion low utilization program. Under this program maintenance C-checks are due every two years.